Drawing ancient Greek goddesses is easier because even in ancient times the look of the diety was a personal matter. The deity is recognized by symbols or behavior. Usually the figure is idealized, but not always. As the deities are shapeshifters they can appear in any guise. 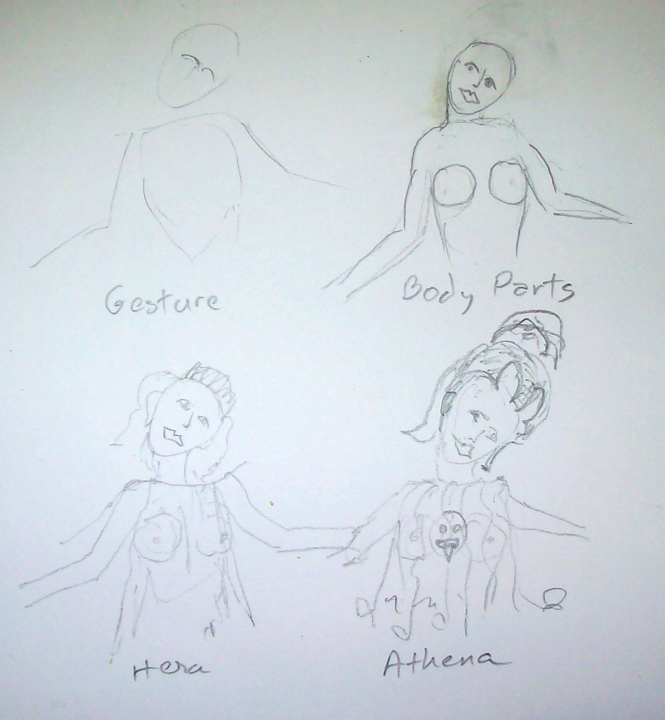 Draw the gesture using stick figures or general forms. Fill in the body parts including bones and muscles if known. Include appropriate symbols that allow the deity to be recognized.